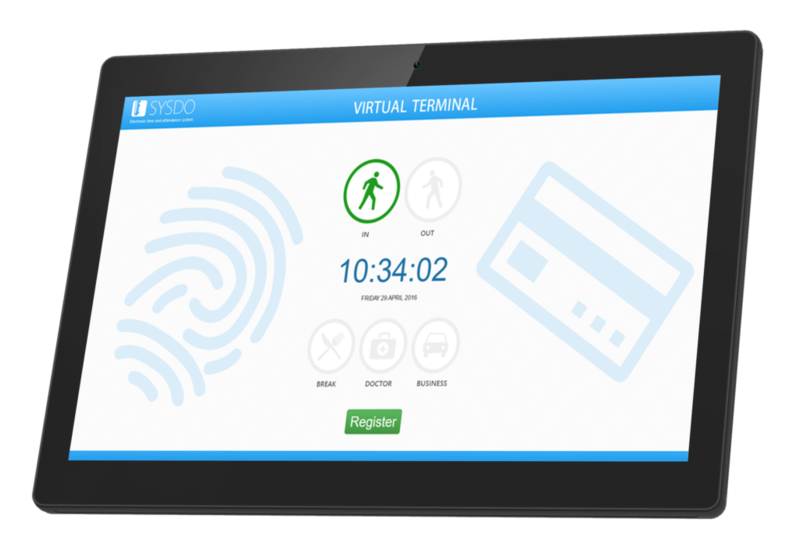 Sophisticated virtual terminal system allows you to keep attendance records even with minimal acquisition costs for hardware. It is possible to replace classic attendance terminals with virtual terminals where accesses are registered by web applications with classic password or PIN authentication. The economic side is not the only advantage of virtual terminals. This solution is suitable for attendance records of less common attendance types – e.g. 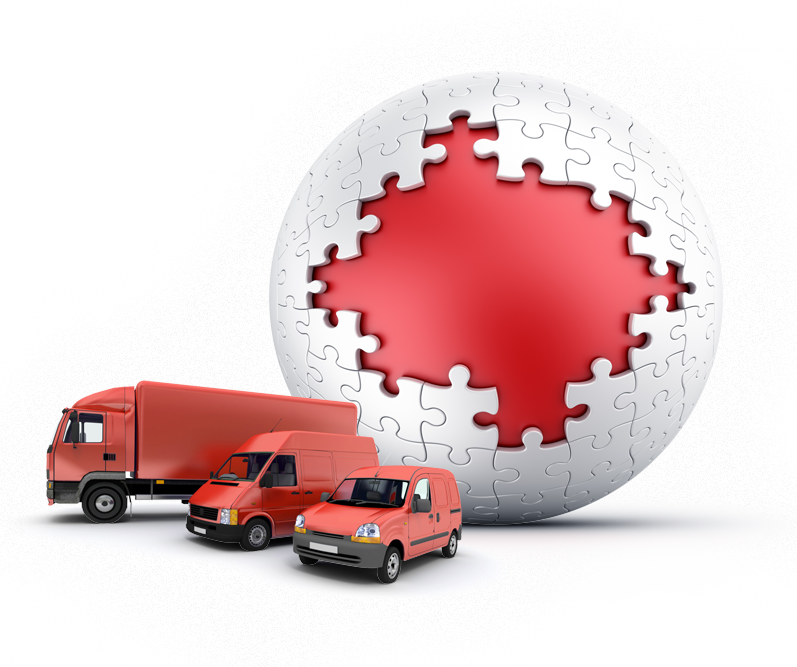 home office, professional driver’s attendance or for a large net of small company branches. The entire communication runs only through a computer, a smartphone or a tablet. Hardware reader is replaced by a website which is a part of SYSDO application, and that is as web as mobile version. User verification runs through password entering. Mobile application “SYSDO terminal” works as a usual terminal where each user logs in with his PIN code. Unlike the virtual terminal this device with installed SYSDO terminal serves to all users. 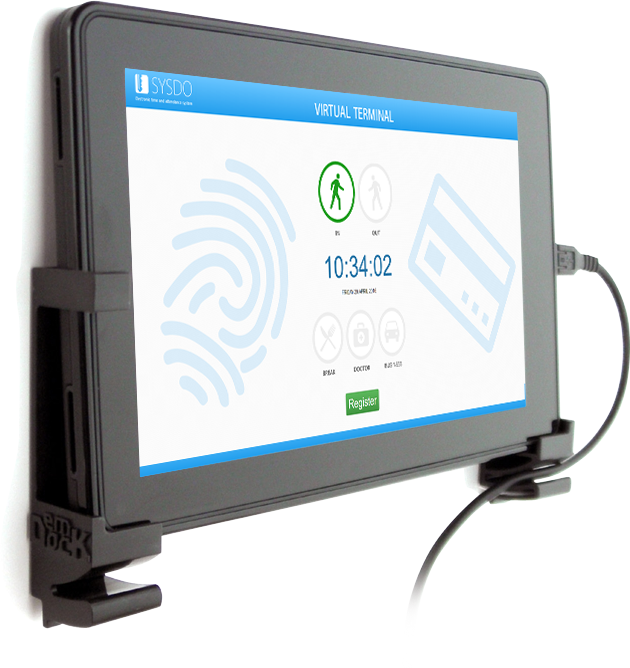 The device, usually a tablet, can be firmly fastened to a wall at the entrance to your company building and can fully substitute function of a classic attendance terminal. This type of a virtual terminal is suitable e.g. for professional drivers’ attendance records or for employees who use vehicle fleet every day.